Step 1. 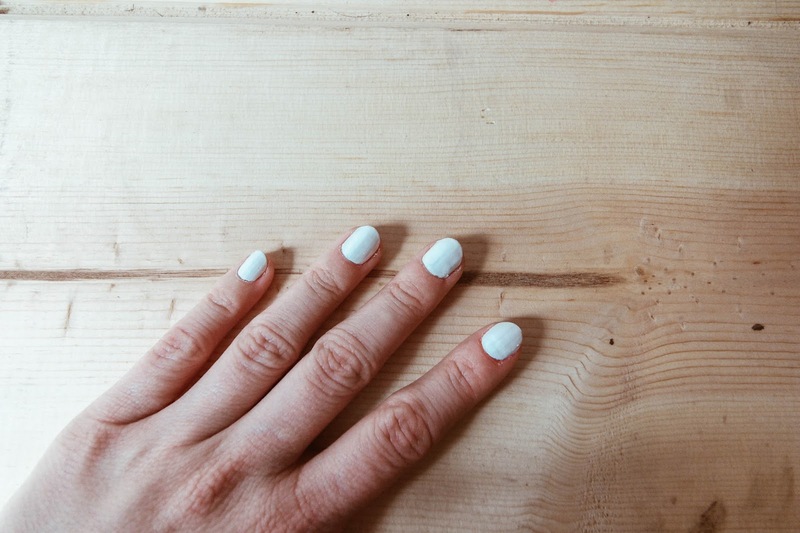 Paint your nails white. All over. Easy peasy. I ended up doing two coats, but do whatever your polish needs. Let it dry. Step 2. 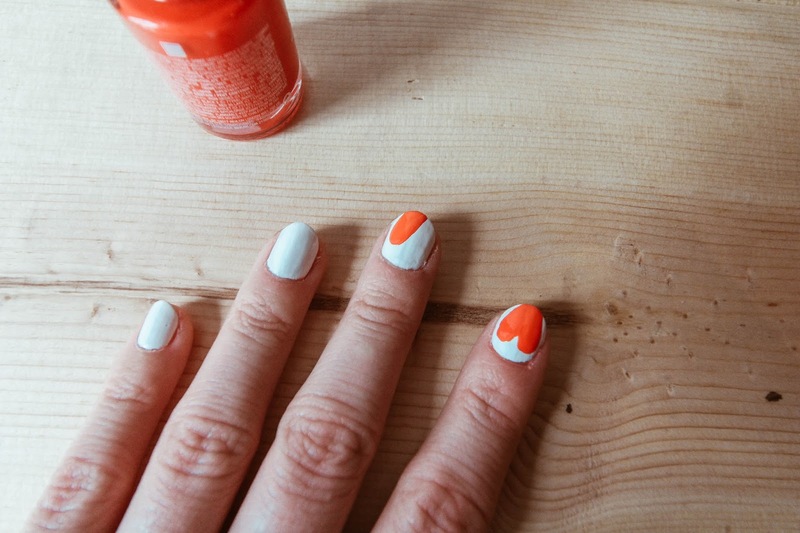 Take your red polish and brush on a diagonal stroke from inside left of your nail to the end in the middle. The brush should naturally make a rounded-ish end where you started. Refer to the photo if this isn't making much sense. Step 3. Paint on a red diagonal strip mirroring the other one and you've got yourself a heart. Step 4. Cover with a clear coat. **Pro Tip- I actually use a clear gel coat and my gel lamp to have a longer lasting mani. 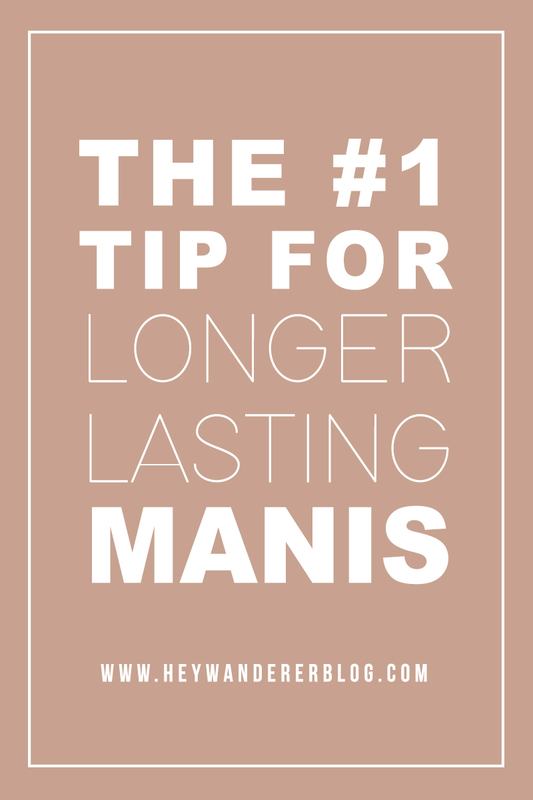 This is my number one tip to making manis last longer! When I spend any amount of time painting my nails, I want it to last at least a week. I usually use regular nail polish under the gel top coat. 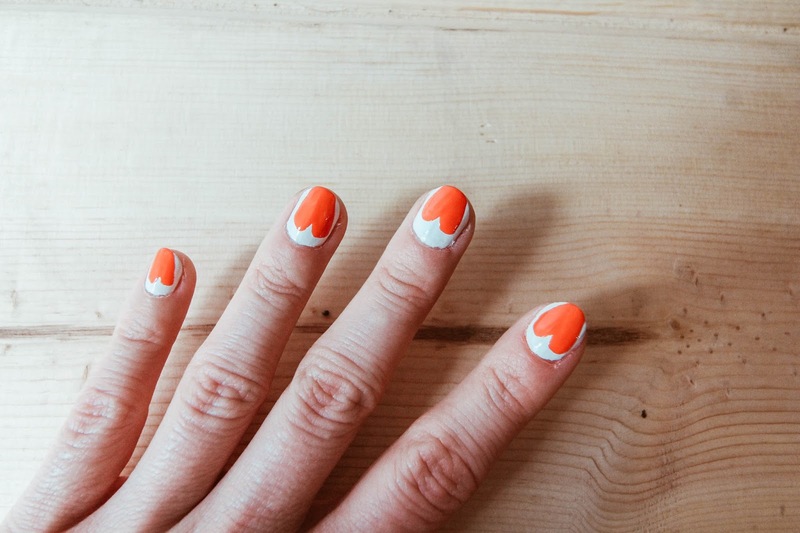 If you do this, just make sure that your regular nail polish is completely dry before you put the gel on. 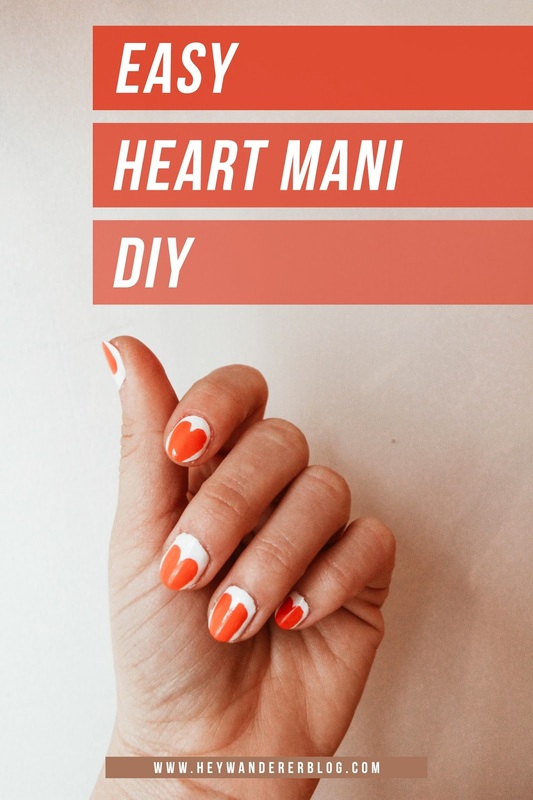 Get yourself a gel lamp and a clear top coat- I promise it will change your like as far as at-home manis go! 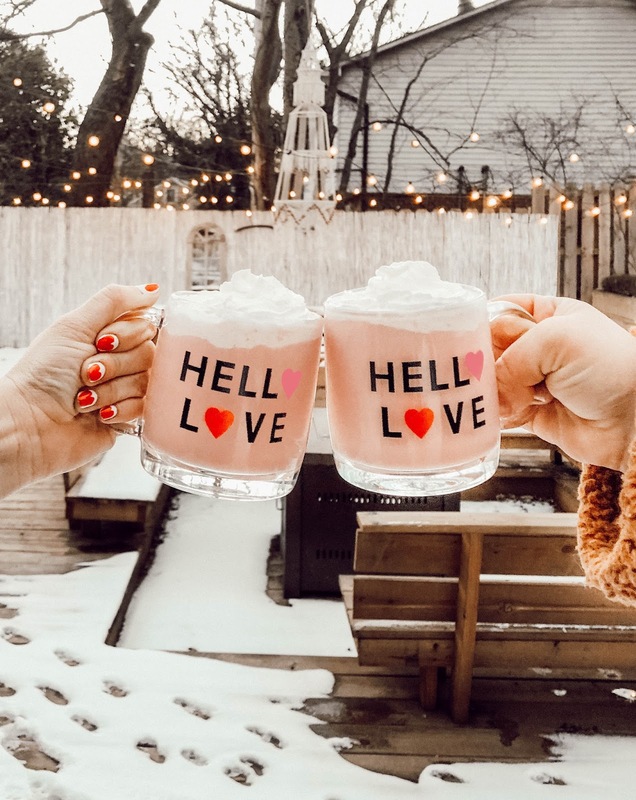 And because you may be thinking about the Hello Love mugs in the first photo, I'm going to go ahead and give you the link to them here! 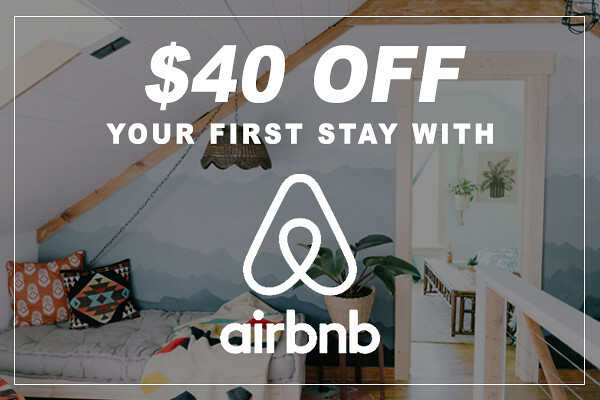 If you liked this post, please pin the image above! Just hover over the image and click 'Pin It'. And if you'd like to see more things like this, let us know in the comments below!